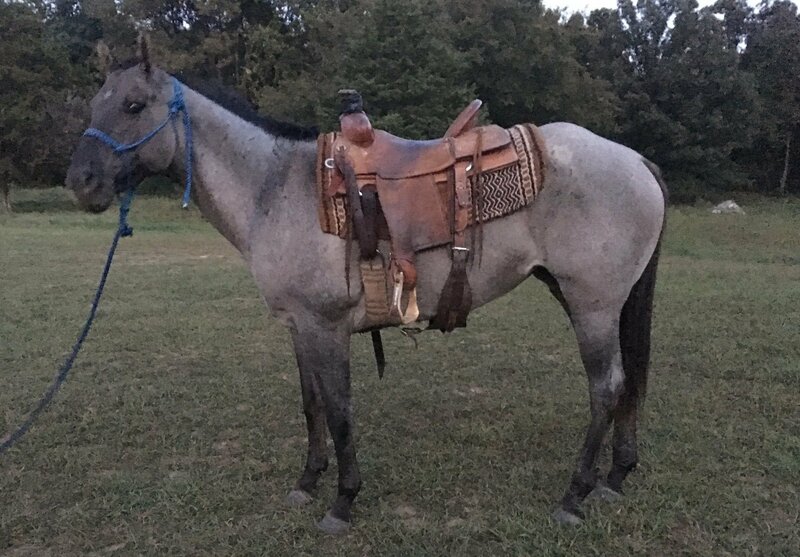 12 year old grullo/roan mare. Been used to check pastures and gather cattle on. Also has roped on the ranch. Easy keeper and even easier to get along with. Can be turned out for months and will get right back to business when you get her up.